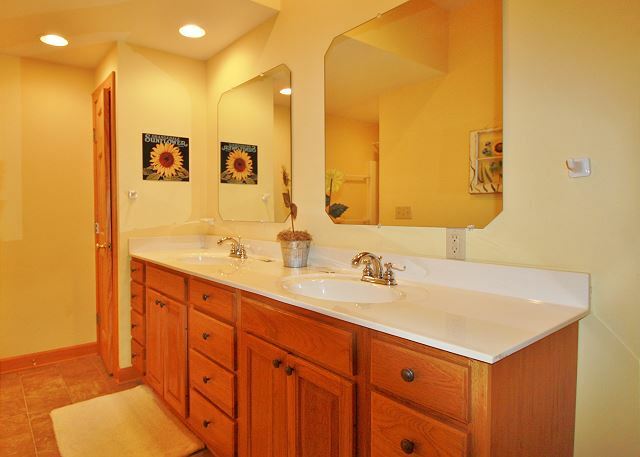 Beautiful, well maintained 3 bedroom 3.5 bath home on Misty Mtn. 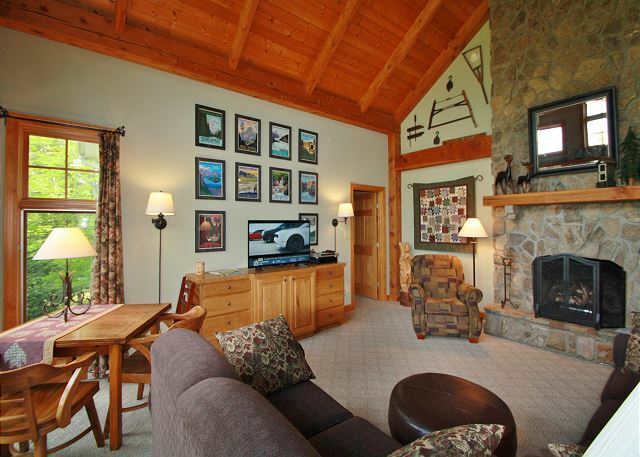 just minutes from Blowing Rock. 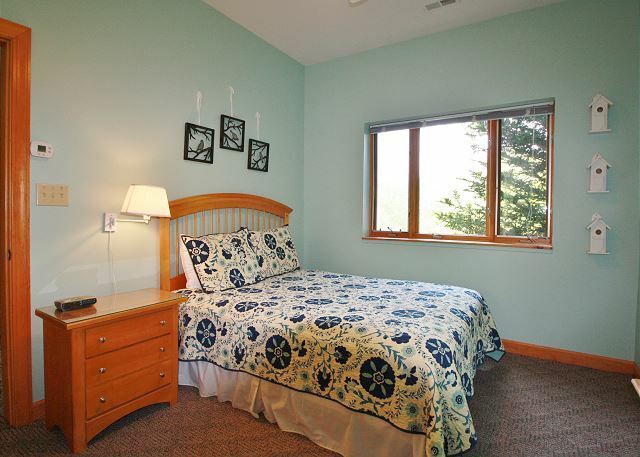 Spacious rooms with lots of extra design features. 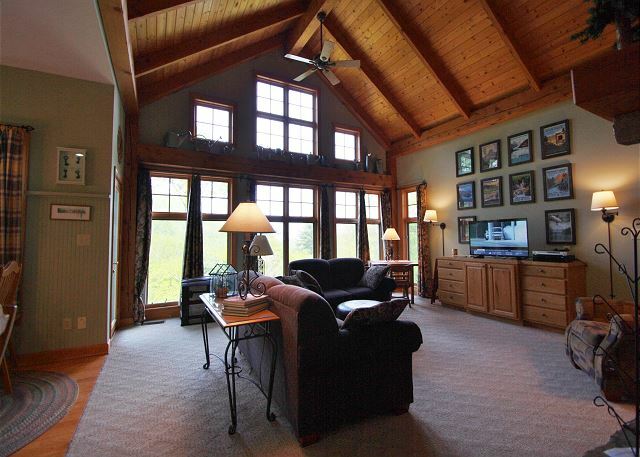 Cathedral ceiling in the great room, two story stone fireplace with gas logs, satellite TV, DVD, internet, AC. 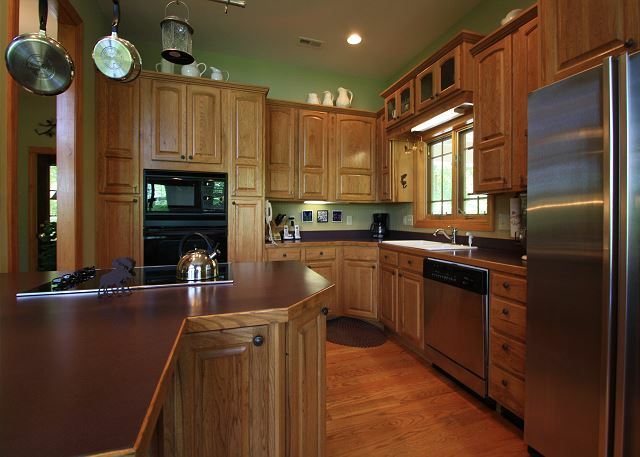 Wonderful kitchen with stainless steel appliances and plenty of counter space for all the cooks in your party. Breakfast bar for two, unique dining table for six and extra seating for two. 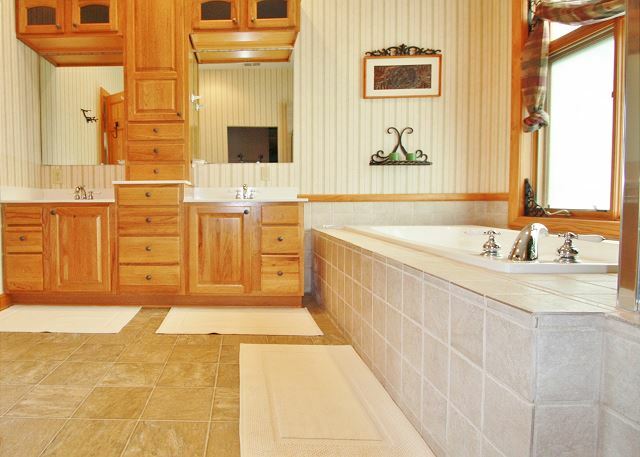 Master bedroom on the main level with a queen size bed, private bath with a garden tub. Dining room has access to an open view deck. Downstairs game room has a ping pong table, wood burning stone fireplace (firewood not provided), TV, access to large lower deck. Lower level has two guest bedrooms, one with a queen size bed and private bath, the other with one double bed and a bunk twin beds and a hall bath. 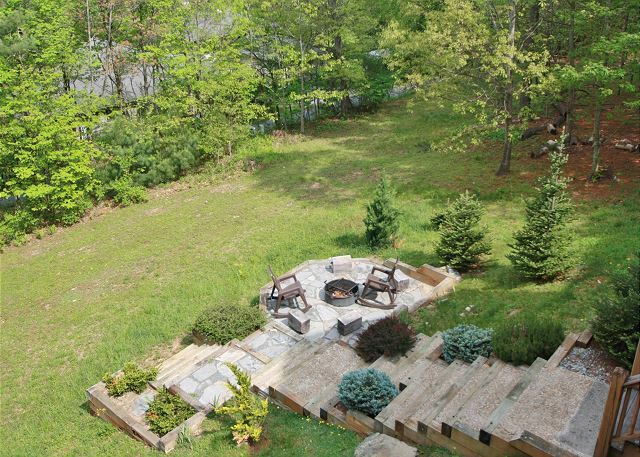 Large back yard with fire pit. Carport easy access to main level. Paved parking for 3 cars. Four-wheel drive recommended in winter weather. Property maps may not be accurate on 3rd party web sites. Please contact the office directly for exact property locations. The house it’s is beutifull , very clean, organized and with everything you need. Sunset West was furnished with everything we needed. The view was lovely. 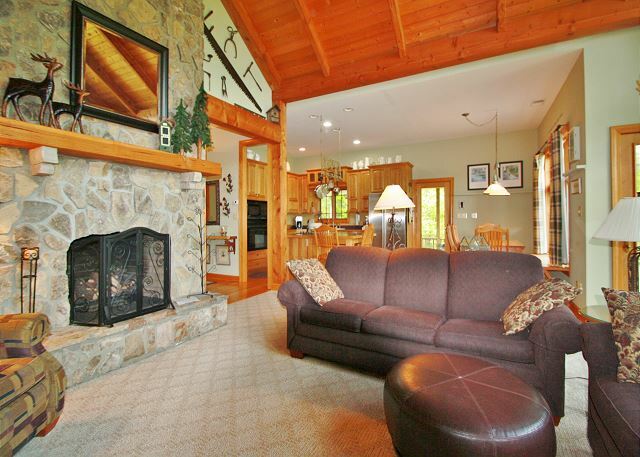 The home was perfectly decorated for a mountain retreat and very clean. The main level was easy for a wheelchair. The front door step was about four inches too tall for our portable ramp but we used our plan B and it worked . The side carport door was a little tricky. 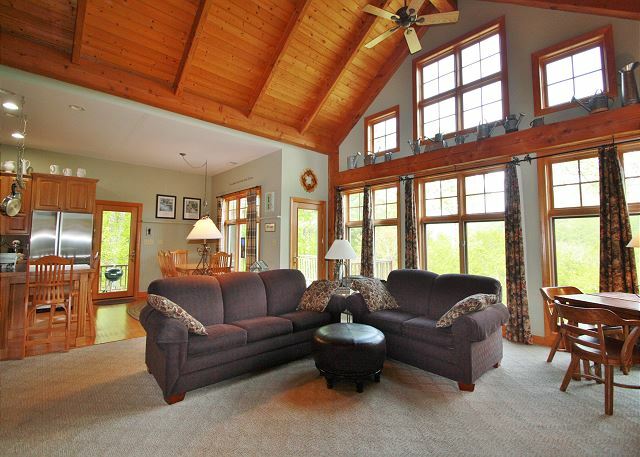 Everything in the home was well maintained , clean and fresh.We will certainly vacation at this home again. 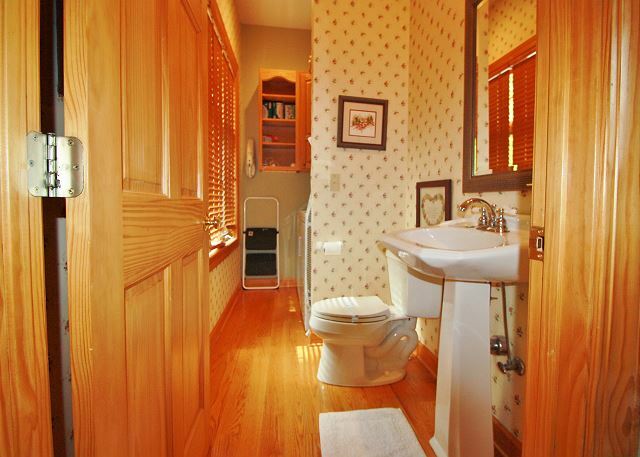 This house is terrific: location, comfort, spaciousness, cleanliness. 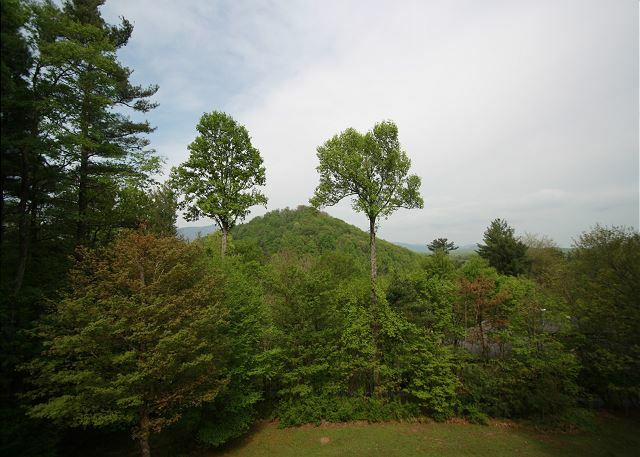 Just 2 miles from the Blue Ridge Parkway, it is easy to find. 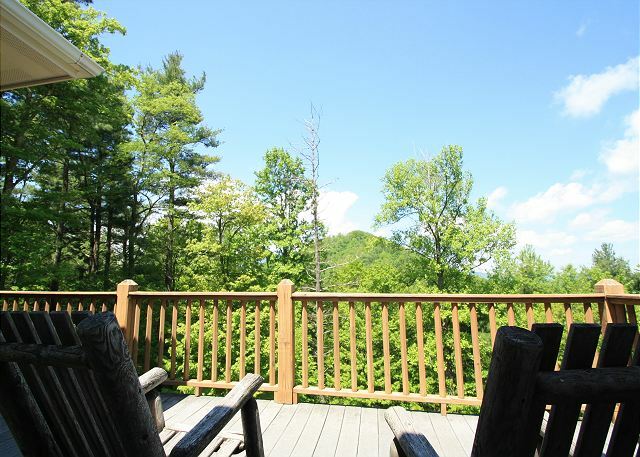 Sweeping views of the mountains, grassy backyard with fire pit, decks, and porches make the grounds very welcoming. The house has roomy common spaces, huge windows, wood and gas fireplaces, comfortable and plentiful seating and tables, and a well stocked kitchen. 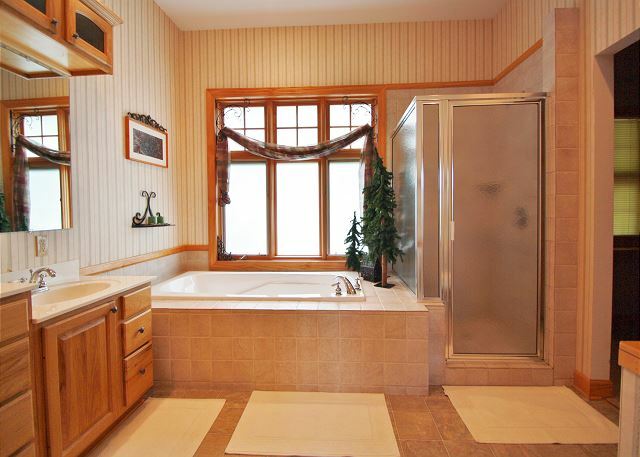 The master suite is exceptionally nice. The lower level has a den with ping pong table and two more bedrooms and bathrooms. Sunset West is a beatiful structure in itself, and the owners have good taste. It was a pleasure to stay there! We spent Easter weekend at Sunset West and we had the best time. The house is very comfortable and we loved the location. It is close but not too close to town and loved that we were able to hop on and off the Blue Ridge Parkway. Our teenagers loved the ping pong table! We hope to return over the summer or in to the Fall. Our family loved staying in this cabin! 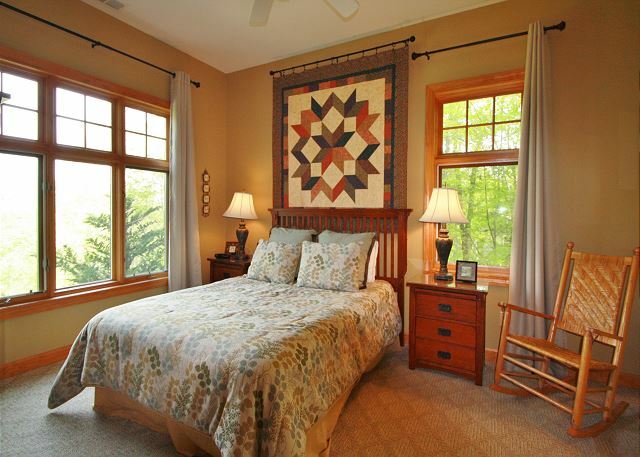 We loved the rustic feel and enjoyed the view of Grandfather Mountain. The cabin's location was perfect; not too far away and not too close to town. We were in town for a wedding and would have loved more days to hike and explore. We plan to stay here again. Definitely book this property again. We had an amazing time the home was very coy and spacious. Loved all the little details everywhere. We love cooking and baking the kitchen was equipped with all the needed items. House was spotless and spacious. All I would really add to the home to make it perfect is Television in rooms and cd player in the playrooms tv, maybe add better blinds to the master room where while vacationing we can sleep in better, sun comes in too early, overall the home is very lovely would stay there again for sure. Fabulous home! Great view and location on Misty Mountain. Quiet and beautiful. Home is decorated and equipped to the nines. We'll never forget our stay here! Our 2nd year at Sunset West, we love the location and the house. I would recommend updating the TV in the den so future tenants would have the capability to streamline movies via Netflix. We brought a cable thinking we would be able to watch movies to find the old model TV didn't have computer cable access. Also having a TV in the master bedroom would have been nice. 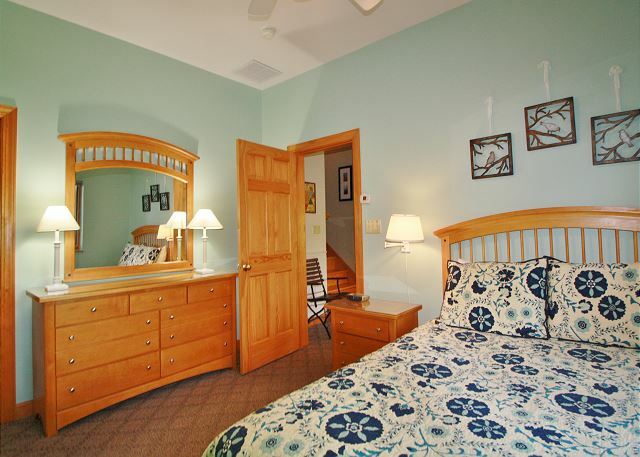 Otherwise, we look forward to our week in Blowing Rock at the Sunset West. everything was great. 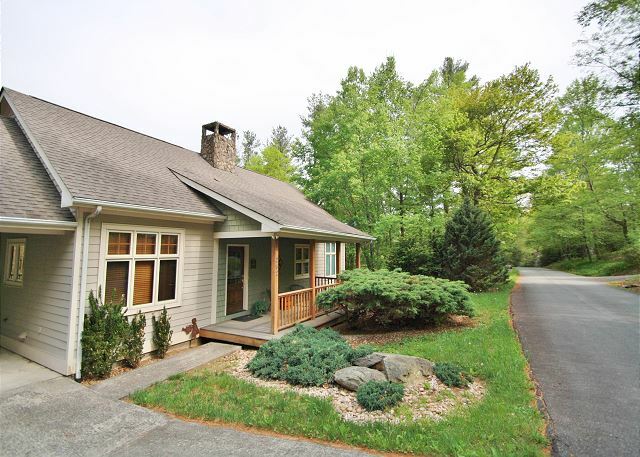 Sits beuatifully in the Apalachian Mountains, quiet , peaceful and located just 4 miles from quaint Blowing Rock. I recommend this home highly.